Following on from the availability last month of the coloured Pimoroni Inky pHAT, Adafruit has this week announced the arrival of the black-and-white Pimoroni Inky pHAT. Which is now available to purchase priced at $24.95 and offers a 212×104 pixel two color low powered easy to read display for your projects. 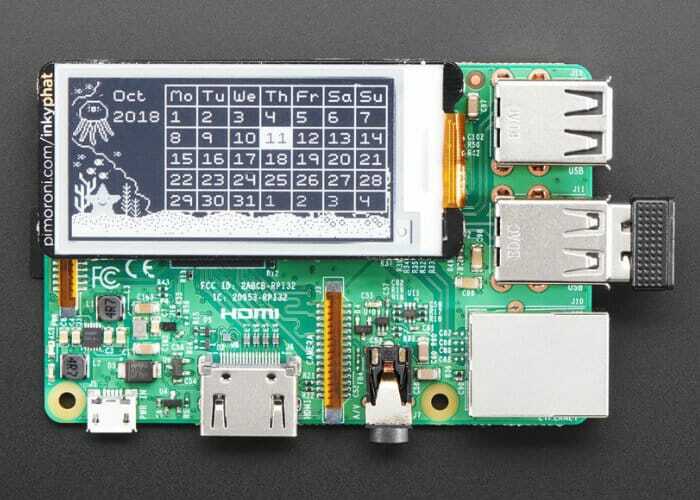 Best of all, if you shut down your Raspberry Pi mini PC, the display stays on! The Pimoroni Inky pHAT is compatible with Raspberry Pi 3 B+, 3, 2, B+, A+, Zero, and Zero W and a coloured version offering both red and yellow are also available, further details can be found here. For more information on the black-and-white Inky pHat display jumper over to the official Adafruit online store by following the link below. It’s also worth noting that Pimoroni’s software does not support Raspbian Wheezy.